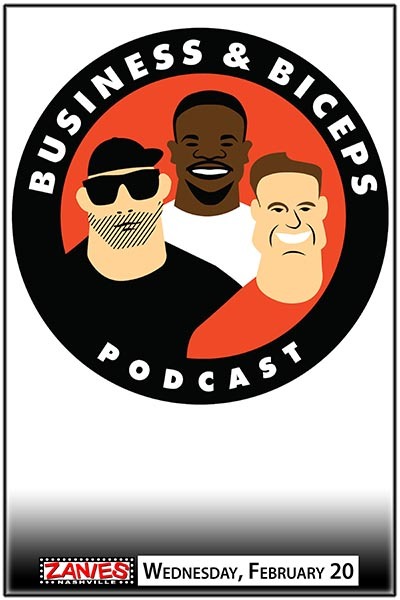 "Business & Biceps is a raw, off the cuff and uncensored success minded podcast that provides listeners the tools for success through real entrepreneurial experiences, struggles, wins and losses. It is hosted by Maurice Clarett, Cory Gregory & John Fosco. Their unique brand of "punch you in the face and then hug you" leaves listeners with not only motivation to achieve, but also tactical skills to takeaway and apply. They will make you laugh, they will insult you, they might even make you cry, but they are guaranteed to provoke a deeper level of thought. "